Most affluent of the green and pleasant Home Counties, Surrey is often spoken of as little more than a London commuter belt. But actually, 70% of Surrey is classed as green belt land, meaning these rolling acres can't be built on. So this is prime country for outdoorsy pursuits, punctuated by picture-postcard-perfect pubs. Many of the best places to stay in Surrey reflect this - there are plenty of country house hotels and coaching inns to choose from. Richmond is only 17 minutes from London Waterloo by train and is on the London Tube network. The county's main town, Guildford, is only 33 minutes from Waterloo by train - making Surrey a convenient place for visitors to London. 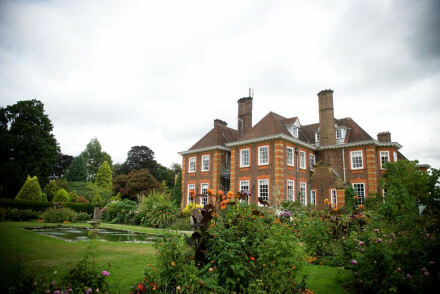 As well as visiting London, how about seeing some of the best of Surrey? Surrey began sprucing up around 1900, many market towns and villages you visit have High Streets and Town Halls dating from the 20th Century. 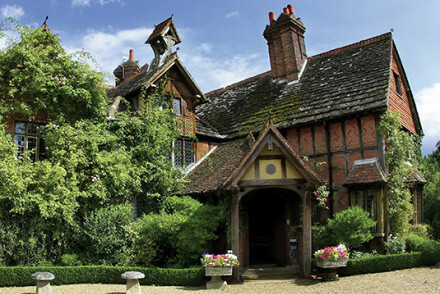 As well as architectural heritage, Surrey has a number of notable museums. Quite a few are centred around the Georgian market town of Farnham, also famous for its shopping. The Farnham museum has a crafts collection second only to the V&A. As for the green bits, the Surrey Hills are considered an Area of Outstanding Natural Beauty, meaning they are national park standard but without the tourists. Box Hill is probably one of the best-known 'green bits', very famous amongst cyclists, and the closest decent hill to London. Be sure to check out Hampton Court Palace, Henry VIII's grand, red brick palace with its famous maze. The stunning interiors are steeping in history and their informative guides will explain every detail to you, as well as answering any question you may have. A splendid day out. The award-winning Denbies Wine Estate, located in Dorking, is Britain's largest winery. This 265 acre spot offers tours, a gift shop, and, of course, tasting sessions! 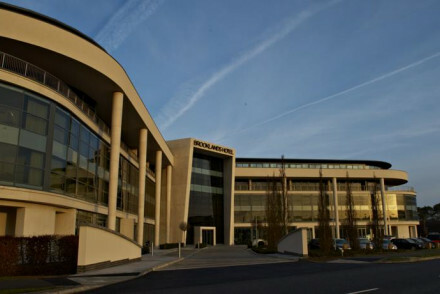 The Lightbox, Woking, is an arts and exhibition centre which houses a large variety of sculptures, contemporary art and works from nationally famous artists. Epsom Racecourse is always a great time - especially if you're here for the Derby! Get dressed up in your finery and have a flutter on your favourite if you're feeling lucky. 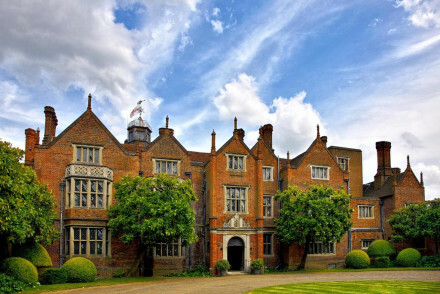 Surrey also has a number of impressive stately homes, including Polesden Lacey - for the views, Loseley Park - unchanged since 1562, and Palladian charmer, Clandon Park - also home to the Surrey Infantry Museum. 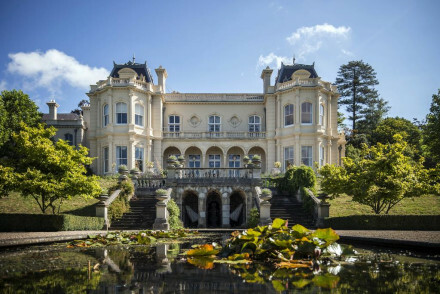 The best places to stay in Surrey are as varied as the county itself, from city pads on the outskirts of London, to country house splendour amid rolling countryside. 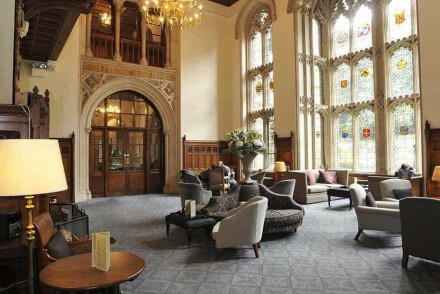 Almost hidden under creeping ivy, lavish 19th century mansion Pennyhill Park has become Pennyhill Park Hotel and The Spa, a luxurious country house hotel with a Michelin starred restaurant and an award-winning spa. One of the best places to stay in Surrey for those who want some serious pampering! Brooklands Hotel & Spa is something a little different, boasting an art-deco theme throughout and providing contemporary suites furnished in dark wood with racing-themed artefacts. Indulge in their spa before enjoying splendid meals at their AA Rosettes 1907 Restaurant. 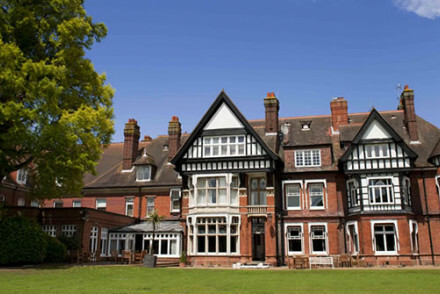 Woodlands Park Hotel is a converted Victorian mansion, known for being one of the first private houses in the UK to have electric lights! The lean towards the modern has continued, and while the exterior remains relatively unchanged, inside you'll find much smoother lines and more muted, modern colours. Nutflield Priory enjoys an elevated position and is certainly one of the best places to stay in Surrey if you want to enjoy the view. Rooms are traditional yet chic and food is 2 AA Rosette standard. Hurtwood Hotel boasts a wonderfully idyllic rural setting, far from the bustle of modern life. This relaxed spot offers chic accommodation featuring exposed wood beams, light hues and some rooms include four-poster beds. Plus, you can enjoy both British and Italian cuisine. The Bingham, situated in Richmond upon Thames, is a lovely stay. Their smart rooms feature sumptuous furnishings and stunning river views, whilst you'll love their Michelin starred British grub! Only a short tube ride away from central London. 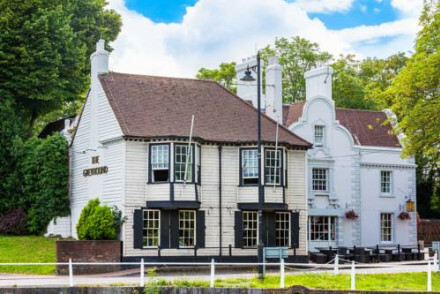 The Crown Inn, Surrey oozes character with exposed beams, four poster beds and roaring fires. This 14th century building also boasts a lovely AA rated restaurant in which to enjoy hearty gourmet meals. 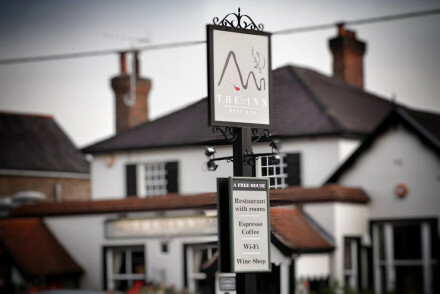 Bel And The Dragon, Surrey, is located in an Area of Outstanding National Beauty. Offers cosy contemporary accommodation and you can come back after a day out hiking to unwind in the bar. Tasty grub served up at the restaurant. You're best off visiting in the summer months, with July and August experiencing an average temperature of around 17°C. You might want to book ahead though as the best places to stay in Surrey get quickly booked up in summer! The county is extremely well served by airports - you can fly to either Gatwick or Heathrow, which are both well connected via bus and train to other parts of Surrey. If you're driving, then the M25, M23 and M3 all run through Surrey whilst the A3 offers a fast route directly to London. Browse through our list of all the best places to stay in Surrey. 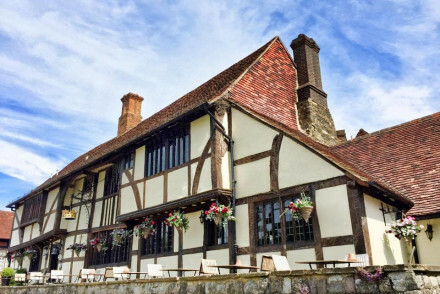 Expand your search to include the best places to stay in Kent, Sussex or Hampshire. 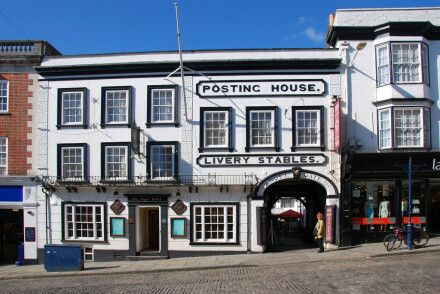 A historic building set in the heart of Guildford on the High Street. Rooms range from spacious suites to simple doubles. All are traditionally dressed with rich hues, antique furniture and luxurious bathrooms - the best have four posters. A charming spot from which to explore the region. Local exploring - Located in the heart of Guildford giving easy access to the town and surrounding countryside. Great walks - Stroll through the beautifully manicured RHS garden at Wisley. Sights nearby - Take a tour of the ruins of Guildford Castle. Historic 16th century village inn with charmingly authentic character featuring Tudor beams, bulging timber walls and sloping floors. A cosy pub and restaurant downstairs serves tasty pub-grub. Rooms are cosy and tasteful, with artworks and homely woollen bed-throws. A fabulous stay. Delightful hotel in the Surrey town of Carshalton. With a focus on food, The Greyhound's restaurant is excellent and offers pub grub with a touch of sophistication. Upstairs, the lovely rooms are spacious and comfortable, perfect for guests looking to explore the local area. Sights nearby - Visit the lovely 18th-century Carshalton Water Tower and Historic Gardens. Great walks - Go for a walk around Carshalton ponds. 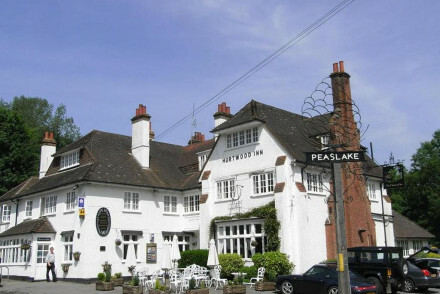 Hurtwood Hotel enjoys an idyllic countryside setting outside Peaslake, far from the hustle and bustle of modern life. This newly refurbished 1920's property offers chic and boutique accommodation complete with en suite bathrooms. Lovely British and Italian cuisine served up. An intimate retreat. Short fly break - The property is located just 12 miles from Gatwick Airport! 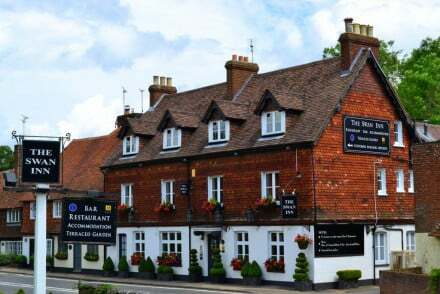 Originally a 16th-century coaching inn, now gastropub with rooms, The Running Horses is situated not far from Dorking. It features five smartly decorated country-chic rooms all with Hypnos mattresses, antique furniture and wide beds. Traditional rustic British cuisine and great value too! Value chic - With doubles from just £89 per night it is excellent value for money. A chic and unique village inn comprising of five subtly colonial styled rooms all named after one of the 'big five'. South African themed throughout - even in the restaurant - breakfasts come with some of the country's delicacies. Surrounded by great walking this country retreat is worthy of a stay. Country Escape - Set in a pretty village with excellent access to fantastic hiking and cycling trails. Great walks - Explore the picturesque walking trails running across St Martha-on-the-Hill. Sights nearby - Take a tour of the historic, beautiful house and gardens of Loseley Park. Fishing - Find the best of both lake and stream fishing at Albury Estate. 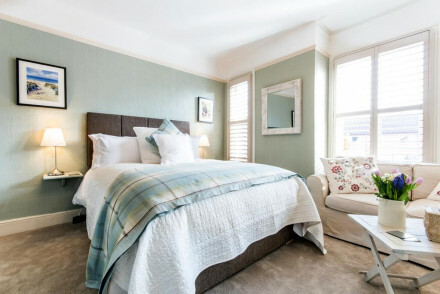 A chic boutique B&B located just off the High Street in Weybridge. A handful of smartly dressed rooms mix traditional and contemporary styles with simple modern furniture, Egyptian cotton and sash windows. In-room continental style breakfasts are served and there is parking nearby. 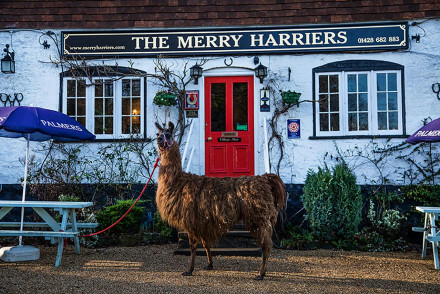 Local exploring - Well positioned just a short distance from London, with plenty to explore in Weybridge and the surrounding countryside. Great walks - Take long leisurely strolls along the riverside. Sights nearby - Take a tour of royal Hampton Court Palace. The Hand & Spear is a lovingly renovated pub in Weybridge. There are twelve individually designed rooms with feature wallpaper and plenty of splashes of colour. Tuck into quintessentially British dishes whose ingredients are sourced locally. A splendid getaway that's family friendly too! 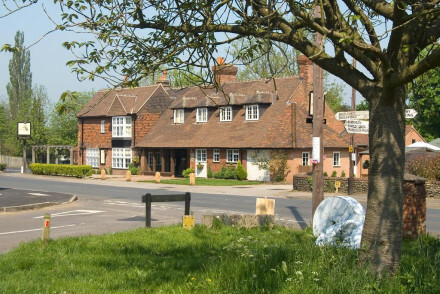 A quintessentially British pub in the quaint village of Chiddingfold, just a short distance from London. Simply styled rooms feature traditional artworks, sink into beds and white-washed walls. Delicious food in the 2AA Rosette restauarnt. The ideal spot for a rural weekend escape. Country Escape - A charming village inn boasting easy access to beautiful countryside and just a short distance from London. 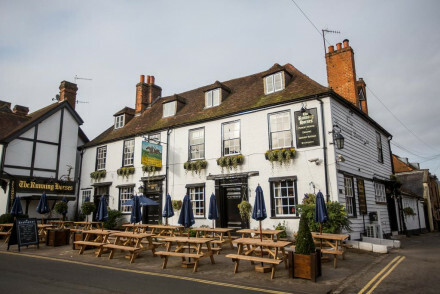 Great walks - Explore the picturesque walking trails running through Surrey Hills Area of Natural Beauty..
A lively pub with rooms in the pretty Georgian area of Kew Green. Contemporary rooms are fresh and light with soft hues, luxurious bathrooms and large sash windows. Food offerings in the restaurant are well executed British classics. 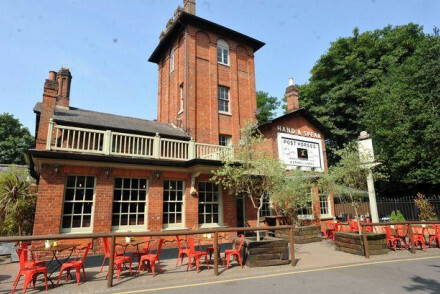 A beer garden and selection of ales make this a great summer spot. City Style - A chic pub boasting contemporary interiors, superlative food and a great location. Sights nearby - Visit the world famous Botanical Gardens at Kew, just a stroll from the hotel. Sailing - Take a ferry trip or down the river to Hampton Court or Westminster Bridge. Great walks - Take peaceful strolls along the River Thames. A delightful country inn with easy access to glorious walking country. Individually styled rooms are packed full of charm with rich hues, patterned wallpaper and antique furniture. Hearty fare is served in the atmospheric restaurant alongside a choice selection of ales in the pub. Country Escape - Perfectly located to access the The Surrey Hills, an area of Outstanding Natural Beauty. Great walks - Explore the scenic National Trust trails that run through The Surrey Hills. Sights nearby - Visit Leith Hill, the highest point in Southeast England. Sat on the edge of Chiddingfold Green this charming coaching inn is a picture of English village life. Inside the 14th century building it is all exposed beams, flagstone tiles, roaring fires and four poster beds, yet with DAB radios, in room DVDs and bathroom mod-cons. The restaurant is AA rated. Great walks - The South Downs, Blackdown, Leith Hill and Winkworth Arboretum provide ample scenic walking routes. Sights nearby - Jane Austen's House Museum and the immortalised town of Loxwood are both a short drive away. Good base in attractive countryside for a weekend getaway in Area of Outstanding Natural Beauty. Also the area where Jane Austen got inspiration for her novels. Couples will find it cosy and contemporary; larger groups and families will appreciate the spacious rooms and communal areas. Victorian mansion in the Surrey countryside with easy access to central London. Excellent conference facilities for business guests and a very popular wedding venue. A beautifully renovated mansion set in acres of picturesque parkland. No expense has been spared on the interiors, from luxurious suites to indulgent single rooms, all are contemporary and stylish. A champagne high-tea and fine-dining restaurant are the icing on this indulgent cake. Country Escape - A country mansion boasting a secluded spot with easy access to the beautiful Surrey Hills. Great walks - Find some of the best walking routes in the south of England starting straight from the property. 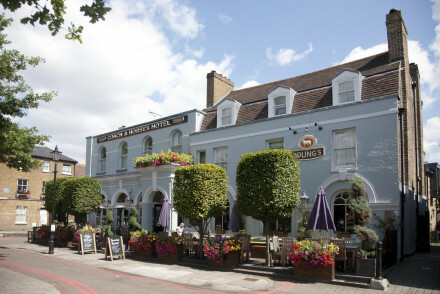 An atmospheric pub located in the heart of Richmond. Individually styled rooms are packed full of character with bold colours, patterned wallpaper, antique furniture and the best have free-standing baths. Downstairs is a lively bar and the restaurant serves pub fare with finesse. 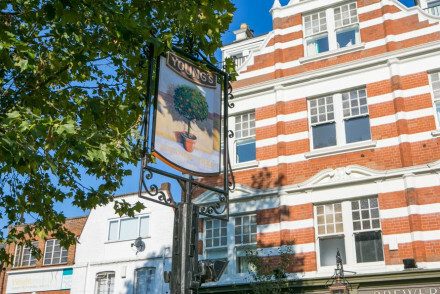 Local exploring - Perfectly located to explore Richmond with Richmond Park, Twickenham Stadium and Kew Gardens all nearby. Great walks - Go for long rambles across the expansive and rugged Richmond Park. Sights nearby - Visit the iconic botanical Kew Gardens. You won't believe that this 16th century, quintessentially English manor house is but a ten minute drive from Gatwick airport. Complete with beamed ceilings, four poster beds, plush sofas and a crackling fire in winter months.There is also an award winning restaurant. Ideal for weddings and parties. 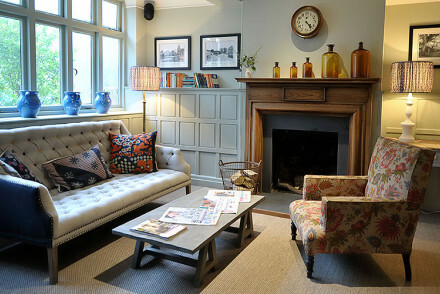 A chic inn offering superlative pub fare and fresh interiors. Accommodation mixes contemporary and traditional styles with patterned wallpaper, crisp white linen and plenty of light. The produce used in the restaurant is carefully sourced and there's a choice selection of ales and wines. 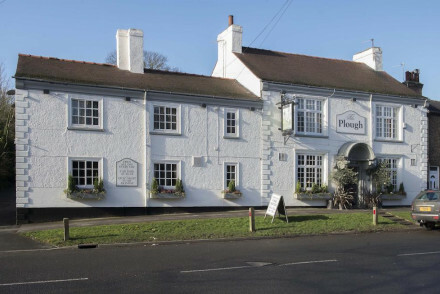 Short fly break - Located just 20 minutes from Heathrow making this an ideal spot to stay the night on the way in or out. Local exploring - Perfectly situated to access Ascot rasecourse, Bisley and Woking. Sights nearby - Visit the impressive Georgian manor, Hatchlands Park, complete with museum and parklands. Great walks - Take strolls through the picturesque RHS Garden, Wisley. 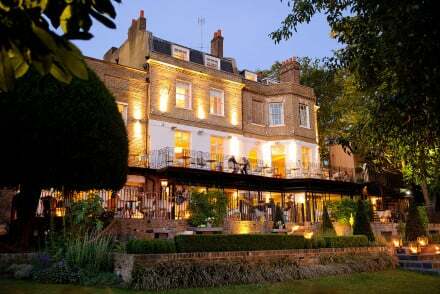 A spectacular boutique hotel on the banks of the Thames and surrounded by Richmond Park. Beautiful Farrow & Ball painted rooms have elegant four poster beds, sumptuous furnishings, and all the mod cons. Stunning river views from the garden, terraces, and Michelin star British restaurant. Boutique - Floor to ceiling French windows, four poster beds, immaculately painted Farrow and Ball walls, chandeliers. Views - Wonderful views over the river offer peace and a sense of restfulness. Foodies - Michelin star restaurant, Modern British. Sleek racing-themed Weybridge hotel overlooking the historic car circuit, perfect for a weekend getaway. Art Deco themed throughout, spacious rooms and suites come decked in dark wood and feature walk-in rain showers as standard. There's fine dining in 1907 and Mercedes Benz World on the doorstep. 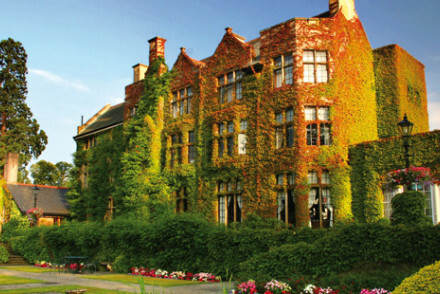 Country house hotel with outstanding views over the Surrey and Sussex countryside. Rooms have been stylishly designed many with individual features including original artworks and feature beds. Ideal destination for both business and leisure travellers. Popular wedding venue. A converted 16th-century royal hunting lodge, now luxury hotel, under an hour away from London. Housing a Michelin starred restaurant and brimming with historic charm. The perfect weekend getaway. Country Escape - Under an hour away from London this historic property offers all one could want from a rural weekend escape. Foodies - The fine dining Michelin star Tudor restaurant is worthy of a visit alone. Great walks - Join a walk around Windsor and Eton with one of Windsor’s Blue Badge Guides. Sights nearby - Visit Hampton Court Palace and take a roof tour for a bird’s eye view. 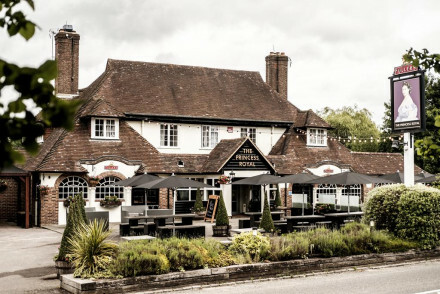 A Fuller's pub set in the historic town of Farnham, just a short distance from London. Downstairs is all you expect from a pub - an atmospheric bar and a restaurant dishing out hearty pub fare alongside a choice selection of ales. Upstairs, in contrast, finds a number of chic contemporary rooms. Country Escape - Cosy interiors, hearty food and fabulous walking country surrounding the town make this an ideal rural escape. Great walks - Discover the pretty trails of the North Downs Way. Sights nearby - Explore the historic and imposing Farnham Castle. Creeper clad 19th century country house hotel. Michelin-starred restaurant and award winning spa just half an hour from Heathrow. Country style with lavish facilities. Spa - The fabulous spa boasts eight indoor and outdoor pools, plus canadian hot tubs, treatments and much more. A stately Country House set in beautifully manicured gardens. A thorough renovation throughout keeps the original charm yet there's a lighter feel to the interiors. With endless rural pursuits on offer and a restaurant headed by an ex-Nobu chef this is a country stay like no other. Country Escape - Enjoy a slice of the (very) good life in this Grade II listed country house. Sights nearby - Visit the village of Chiddingfold regarded as one of England’s loveliest. Great walks - Take long rambles in the surrounding woods.